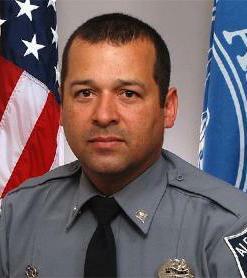 Peter Laboy is an Alexandria Police Officer with 17 years of experience and has been a PBA member since November of 2006. Officer Laboy has been on the Alexandria Motor unit for the past 6 years. The Police Benevolent Foundation has established a fund titled the “Officer Peter Laboy Recovery Fund” to assist the Laboy family during this difficult time. Donations can be made to this fund by clicking the link below. **PLEASE BE SURE TO DESIGNATE THAT YOU WOULD LIKE YOUR DONATION TO GO TO THE "OFFICER PETER LABOY RECOVERY FUND" IN THE DESIGNATION BOX ON THE DONATION FORM. "OFFICER PETER LABOY RECOVERY FUND"
You can also help Officer Laboy and his family by texting the phrase COPS LABOY to 85944. A $10 donation will be made to the "Officer Peter Laboy Recovery Fund" through your cell phone bill. The PBF is asking everyone to please pass this information along to friends and family. Officer Laboy will need all of us to rally behind him during these hard times. 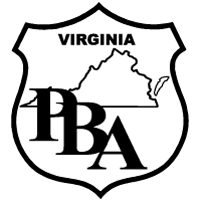 It is with a heavy heart that the PBF and VAPBA ask for the help of the community, both locally and nationally, to aid in its efforts to provide much needed support to this officer in his time of need. All donations made to the “”Officer Peter Laboy Recovery Fund” are 100% tax deductible and all proceeds go directly to the Laboy family.